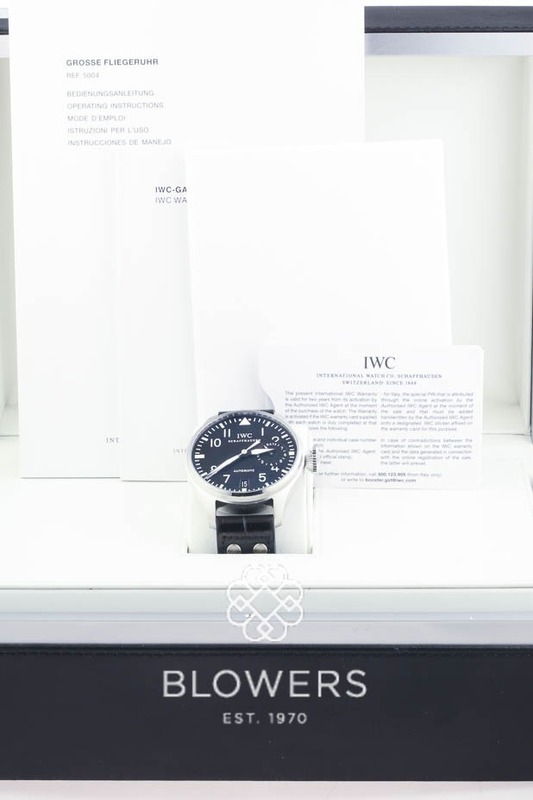 IWC Big Pilots Watch IW5004-01. 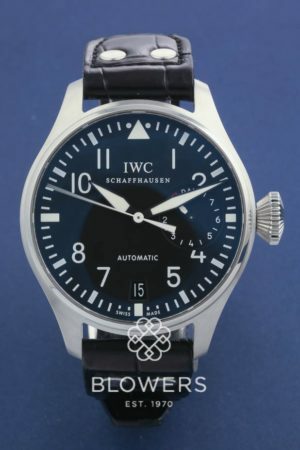 Automatic IWC calibre 51110 movement. 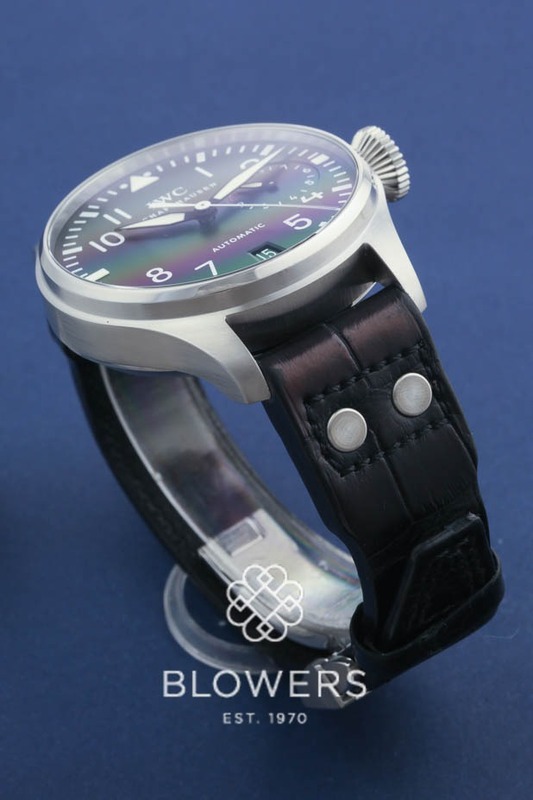 Steel 46.2mm case diameter, 15.8mm case depth. 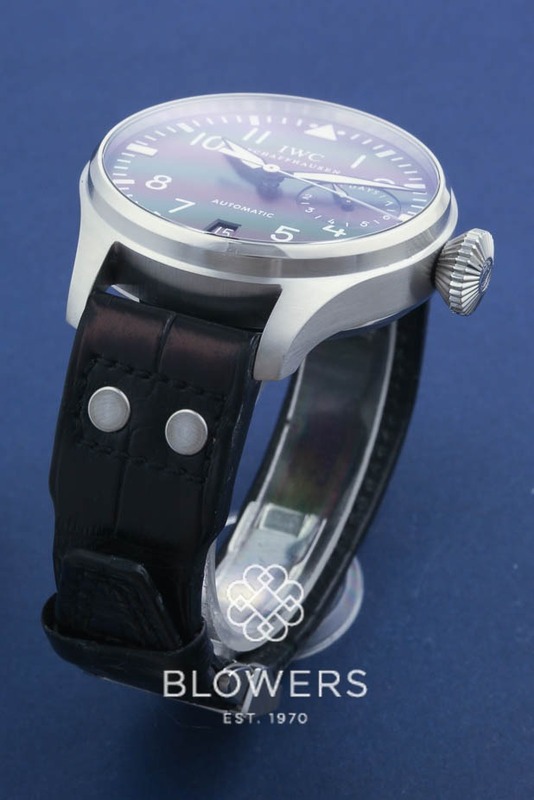 Screw down winding crown water resistant case to 60 meters. 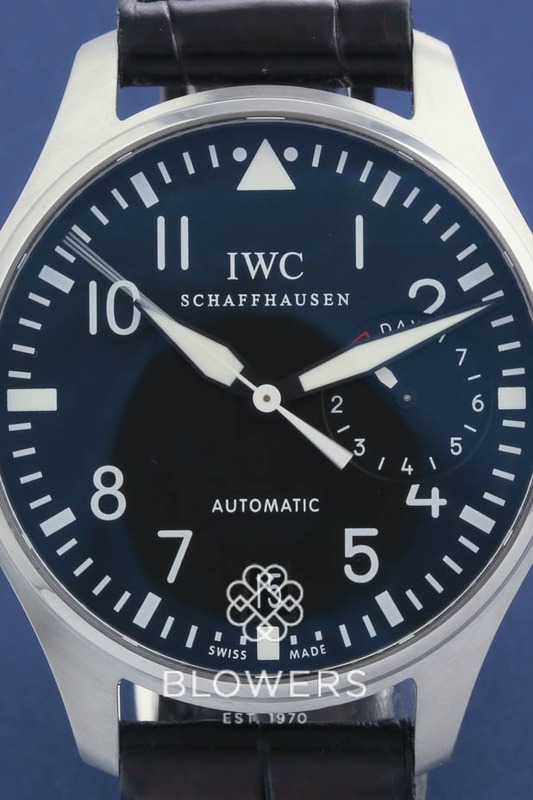 Black dial with printed white numeral hour markers and track minute markers. Seven day power reserve indicator sub-dial with luminous hand. 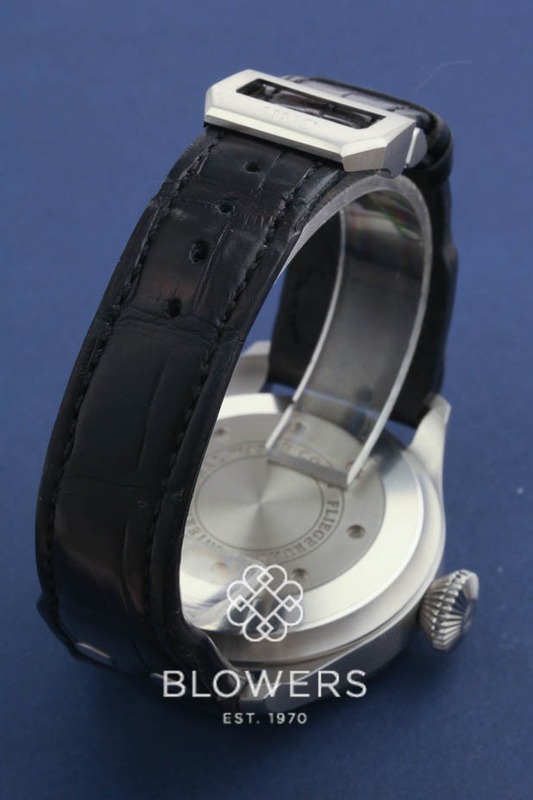 Black croc leather strap with steel folding clasp. Box and papers. Our reference S21971. SKU: 3023341. Categories: IWC, Pilots.